Hosted by Joey Mead King, Samsung Philippines’ first-ever concert launch showcases the next generation experience that the Galaxy S10 offers, made possible through cutting-edge display, camera, and performance features. 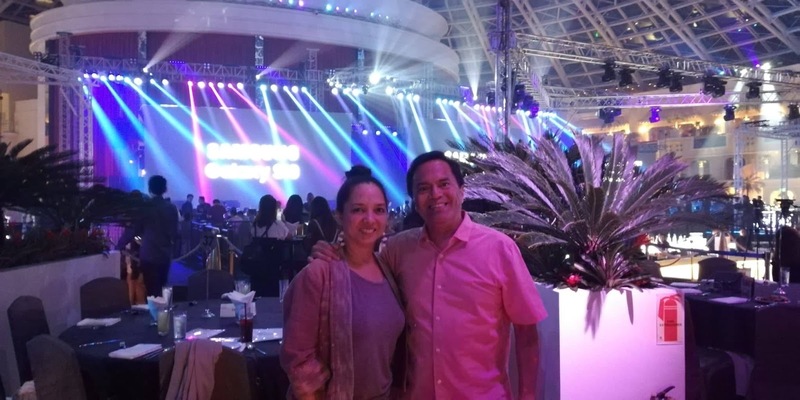 Leading the presentation of Samsung’s newest flagship smartphones are Benson Galguerra, Product Marketing Head for IT & Mobile, and Lea Cua-Lopez, Product Marketing Manager for Flagship Smartphones - S Series. Grandest smartphone launch of them all. Sporting minimized bezels, a wider 19:9 screen-body ratio, and a punch-hole display for the front camera, the Galaxy S10 maximizes the screen real estate without any distractions. The Infinity-O Display comes in three variants: a 5.8-inch display for the Galaxy S10e, a 6.1-inch display for the Galaxy S10, and a 6.4-inch display for the Galaxy S10+. 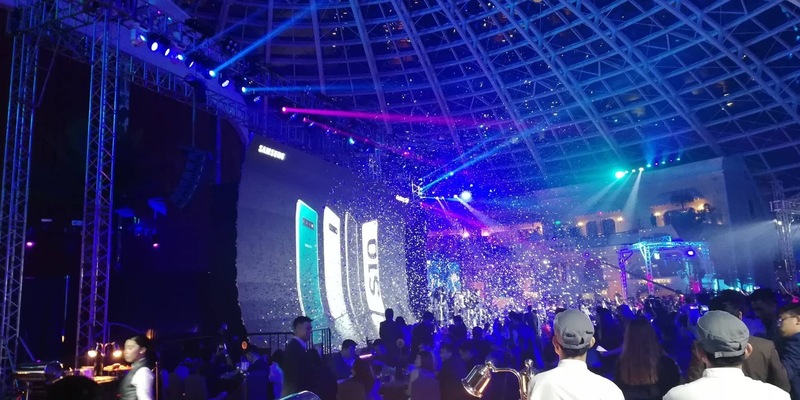 Samsung celebrates the first decade of the S series. The Galaxy S10 also has the world’s first Dynamic AMOLED Display, delivering amazing visibility and vivid visuals under any lighting condition. As the first HDR 10+ certified device with Dynamic Tone Mapping, the Galaxy S10 generates a wider and more accurate range of colors, even in the darkest of scenes. The screen remains pleasing to the eyes, as the smartphone already reduces blue light emissions by 41% even before activating the Blue Light Filter. The Galaxy S10’s True Vision Multi-Camera combines a full array of lenses in one powerful device. The Galaxy S10e has a dual camera set-up, utilizing a 12 MP Wide Dual Aperture Lens and a 16MP Ultra-Wide Lens -- a first for the S series. 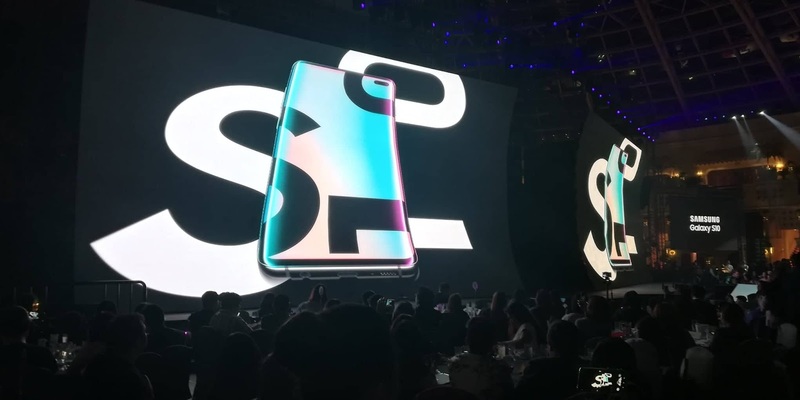 The Galaxy S10+ and the S10 sport three rear cameras, adding the 12 MP Telephoto lens for zoom. The triple camera set-up of the Galaxy S10 & S10+ lets users easily switch shooting modes, from telephoto (2x optical zoom), to Wide (77°) and Ultra-Wide (123°), perfect for capturing detailed close-up portraits and epic panorama shots. Both the S10e and S10 carry a 10 MP Dual Pixel UHD Selfie front camera, while the Galaxy S10+ adds another 8 MP Camera for artistic Live Focus selfies and UHD videos. Powered by upgraded AI, the Galaxy S10 automatically adjusts its settings based on the scenes being captured, and can even suggest composition recommendations to frame the shot beautifully. Consumers who pre-order a Galaxy S10e, Galaxy S10, and Galaxy S10+ will receive freebies worth up to PHP28,500. The Galaxy S10 also functions as a Pro Camcorder, offering Super Steady & High-Quality Video Recording. This allows users to take dynamic action videos with minimal shakiness. Both front and rear cameras can shoot in up-to UHD quality, and in an industry first, the rear camera provides the flexibility to record in HDR10+. Ensuring maximum phone security, the Galaxy S10 &Galaxy S10+ use the first-ever embedded Ultrasonic Fingerprint Scanner that reads the 3D contours of a physical thumbprint – not a 2D image of it – for improved anti-spoofing. The feature detects every unique nuance of a fingerprint, even with changes in humidity, sunlight, or ambient temperature, offering vault-like security to keep the device safe. Operating faster than ever, the Galaxy S10 delivers efficient and seamless user experience with an 8nm mobile chipset. Engineered for the best possible performance, the flagship phone’s hardware increases CPU & GPU performance while reducing power consumption. This allows the device to launch frequently used applications and games smoothly. The Galaxy S10 also offers the largest storage capacity available on a Galaxy device, with 1TB of built-in storage expandable up to 1.5TB on the limited-edition Galaxy S10+ variant . The base models of the Galaxy S10+ and Galaxy S10 carry 8GB RAM and 128GB storage, while the Galaxy S10e supports 6GB RAM and internal memory of 128GB. Built to adjust to its users’ needs, the Galaxy S10 automatically optimizes battery, CPU, RAM, and even device temperature based on how the smartphone is used. It also sports a wider battery capacity than the previous Galaxy variants: 4,100 mAh for the Galaxy S10+, 3,400 mAh for the Galaxy S10, and 3,100 mAh for the Galaxy S10e. Samsung also introduces the Wireless PowerShare feature on the Galaxy S10, allowing the charging of Qi-certified smartphones by simply placing them against the flagship smartphone. 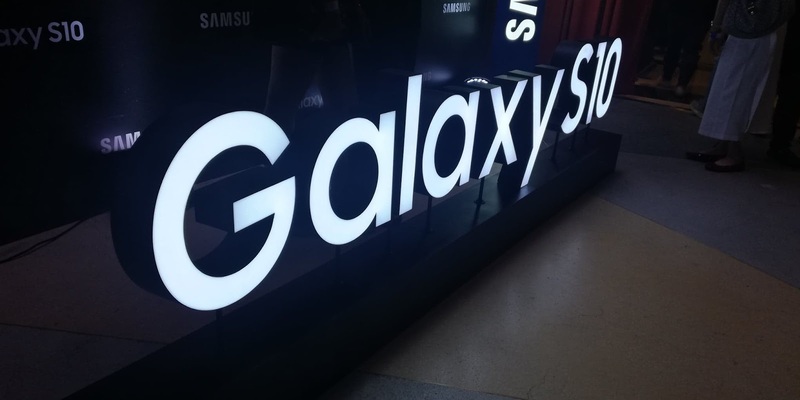 As an industry-first, the Galaxy S10’s Wireless PowerShare will also charge compatible wearables, such as the Galaxy Watch and Galaxy Buds. This allows on-the-go users to avoid the hassle of looking for sockets to charge their devices. In addition, the Galaxy S10 is capable of charging itself and a second device simultaneously via Wireless PowerShare , while connected to just one regular charger. One can save time by powering up multiple gadgets in one go, allowing users to tackle their day with fully-charged devices. The Galaxy S10e will be available in Prism White, while the Galaxy S10 will be available in Prism White and Prism Black. Consumers who will opt for the Galaxy S10+ (128GB) will have three colors to choose from: Prism White, Prism Black, and Prism Green. The Galaxy S10+ (1TB) will also be available in a premium Ceramic Black variant . The Galaxy S10 line will be available in authorized retail stores, telco operator partners, and online beginning March 8. Pricing starts at PHP39,990 for the Galaxy S10e, PHP49,990 for the Galaxy S10, and PHP55,990 for Galaxy S10+ (128GB). The limited edition Galaxy S10+ (1TB) Ceramic Black model will only be available via pre-order at PHP89,990. Consumers who pre-order a Galaxy S10e, Galaxy S10, and Galaxy S10+ will receive freebies worth up to PHP28,500. The limited-edition Galaxy S10+ (1TB) pre-order bundle will come with a 43” Samsung Smart FHD TV. The 128GB Galaxy S10+ can be pre-ordered alongside a FREE 32” Samsung HD TV worth PHP 13,499or a Samsung store voucher worth PHP 7,000. Pre-order the Galaxy S10 model to get the all-new Galaxy Buds -- Samsung’s newest in-ear companion that delivers superb acoustics and all-day comfort. The bundle also comes with a Bluetooth Handgrip. Customers may also opt for a voucher worth PHP4,500. The Galaxy S10e bundle will include either the Galaxy Buds or a voucher worth PHP 3,500. All bundles will come with FREE Nanofixit screen insurance up to PHP 10,000, and 10% off on select Galaxy tablets and/or Galaxy Wearables, valid until April 30, 2019. The pre-order period for the Galaxy S10 will run until March 3, 2019. 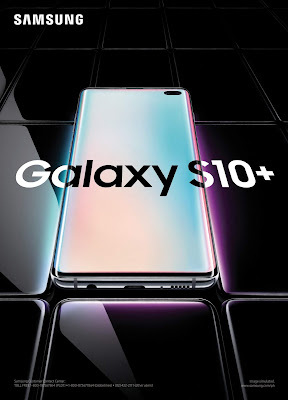 Visit samsung.com/ph/offer/s10preorder/ to pre-order the Samsung Galaxy S10. For more information about the Galaxy S10, visit samsung.com/ph.